We all desire to be known and loved. What if nurturing deeper, more authentic relationships is not only attainable but is what we were made for? These resource eGuides will give you valuable insights and practical handles on how to achieve more intimate and authentic relationships. 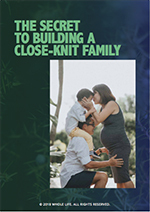 This eGuide will empower you to nurture true intimacy in your home, through loving communication, prayerful attitude, and a deeper grasp of what drives conflicts. 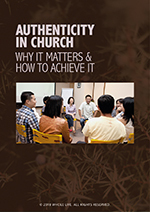 This eGuide will provide you with tools to deepen spiritual connections within your church, through authenticity and transparency.